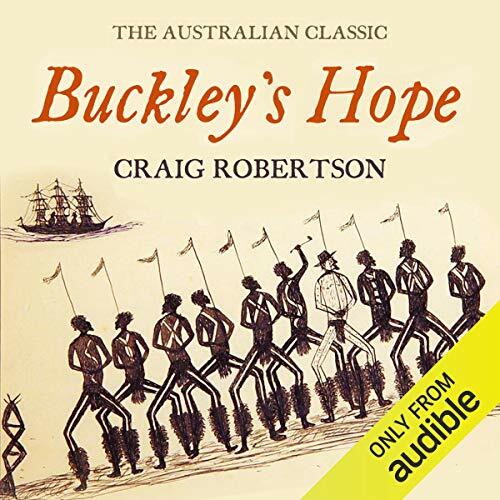 This is a historical novel, based on the true story of a young English convict named William Buckley who, on Boxing Day 1803, escaped from Victoria’s abortive first settlement at Sorrento and then survived in the wilderness for thirty-two years, mainly because he was adopted and helped by local aboriginal tribes. In 1835 Buckley emerged with his tribal friends to meet Melbourne’s founders, and quickly became an important guide and interpreter in the crucial first years of the European conquest of the Port Phillip region. Suddenly, trapped in the rapidly ensuing conflict between two vastly different societies, Buckley found himself mistrusted by his former black friends and by his white compatriots. He was so harshly reviled that his reputation has suffered to this day. With great sensitivity, and based on meticulous research, Craig Robertson has recreated the fateful encounter between Australia’s ‘wild white man’ and the original inhabitants of the continent. Remarkably, through Buckley’s eyes we can see how much was at stake and how much was lost when two worlds collided. The enthralling story of William Buckley’s odyssey continues to haunt and challenge us all. Buckley’s Hope was originally published by Scribe in 1980, and has never been out of print.